Jonestown Apologists Alert: Wednesday, Oprah's Big Question: John Wayne Gacy & Jim Jones -- Monsters? Or Just Terribly Misunderstood?? Wednesday, Oprah's Big Question: John Wayne Gacy & Jim Jones -- Monsters? Or Just Terribly Misunderstood?? Get ready for an irresistible cult apologist's BIG splash, everybody -- smack-dab in the middle of the world-famed Oprah Olympic Pool! That's right. 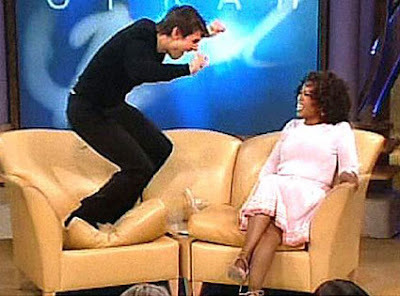 But this time it's unlikely to be anything as sensational as Scientologist Cruise's notorious couch hysterics that we all remember. No, not quite that. But Harpo's Royal Highness still has something to show the world tomorrow afternoon that might just be as valuable a ratings bonanza. All over the Info Highway, the thrilling announcements: "WEDNESDAY ALL NEW! Serial Killer John Wayne Gacy's Sister & Mass Murderer Jim Jones's Son Speak Out...."
"....What is it like to be related to the most notorious and reviled people in history? First, in 1978 the Reverend Jim Jones led over 900 of his followers to the biggest mass murder suicide in modern history. Now his son, Jim, Jr., speaks out about living in the shadow of his father's horrific crimes and explains the burden of bearing his adoptive father's name...."
No doubt this promises to be a memorable show. Imagine, we'll have the sister of John Wayne Gacy talking about how "good and kind" her brother actually was. Sure, he may have lost it 33 times, torturing & murdering that many boys and men, burying them under his house so everybody would stay convinced he truly was "good and kind." And one more thing, she says, needs to be cleared up -- he was not a monster. Well, okay, if she insists. Tell that to the families of the people her crazed sibling butchered so efficiently. Now if this is what we'll be hearing from Sis Gacy, just try imagining the promos Mr. Jones, Jr. might be tossing out about the "good and kind" sides of his dearly departed relative? If his past statements are any sign, it ought to be more breath-taking than practically any of the hogwash floating around Becky Moore's propaganda palace, "The Jonestown Institute." 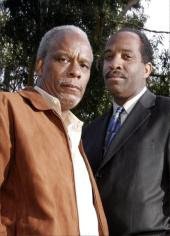 In a 2006 interview, Jones, Jr. commented about his father's "functional" side when being asked about Director Stanley Nelson's twisted whitewash "documentary," entitled "Jonestown: Life and Death of Peoples Temple." Jones(R) is seen standing here with the scowling master of cult apologist cinema, Lord Nelson. 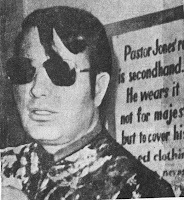 "He [father Jim] must have presented something to them to make him trust them," said Jones, Jr. "And I think Stanley's film shows this functional world of Jim Jones and the Peoples Temple." Two years later, at the 30th anniversary memorial service for the 900 victims of his "functional" father, he made the astounding claim that this mass-murdering monster "should not be villianized." Because, according to Jones, Jr., his savage, sadistic father was "a victim," just as much as the nearly 300 children and babies he subjected to agonizing death sentences by cyanide. Painful beyond belief, it must have been, this victim father's gift of dying "with a degree of dignity." A toddler, screaming that her throat is on fire, heart racing uncontrollably, world around her spinning. She can barely breath. A dark, complete terror wracks her brain. The screaming slowly descends into a helpless moaning. Bathed in sweat, she begins vomiting. Then, her entire body surrenders to ghastly convulsions. "Crossed over," just as the monster and his planning commission executioners had hoped. Imagine, if you can, this horror repeated 900 more times. Official estimate was that the great majority of Father Jones's victims did not in fact have their "C" served up in a cup of Flavor-Aid. They were forcibly injected in the back. So much for the notion of "revolutionary suicide." 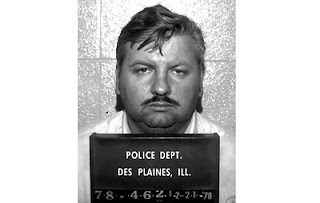 So tomorrow on Oprah, besides hearing how "good and kind" John Wayne Gacy was, will we also endure the sick spectacle of someone arguing the master mind behind this unspeakable Crime of the Century was "a victim"?? Let's hope to God he doesn't dare. It fits, I am sorry to say. Don't get your blog? Jones Jr has been a shining example of how to live through and beyond his family and father's legacy. As Oprah said, "we all could learn something from you (jones jr)". Maybe that lesson should apply to you? is their something that you haven't worked through? Clearly, Jones, Jr. has proven a true survivor, climbing from the depths of hell to restart his life. To have been the adopted son of a deranged beast like this, indeed that was a huge legacy to overcome. But "shining" is not exactly the word to describe Jones, Jr.'s outrageous apologist statements about his father's reign of terror. He's got a lot of gall trying to provoke sympathy for a man who was unbelievably evil, toxic, and murderous. Now he thinks Father Jones deserves to be honored on a memorial, mixed in with the names of all those men, woman, and children whose lives he extinguished like an old cigarette. Oprah should be ashamed, doing such a revolting puff piece on not only Jones Jr., but the Temple itself. Did she go into the little ol' details about how these cultists got their jollies not only torturing each other, but even the youngest little children--right in Redwood Valley, California--long before they were forcibly herded down for the slaughter in South America. No, not one damn word about that. Just the usual superficial, slanted reporting, and most of Oprah's footage was lifted directly off Stanley Nelson's disgusting cult apologist film. Yeah, we could all learn something here alright--that she's quite clueless, and a disgrace for putting out this kind of televised tripe. And, yes, regarding your obvious concern about my well being, "Anonymous." Very kind of you to inquire. To be sure, I'm working through lots of things on my way to the Promised Land. Turns out it's a road cluttered with lots of curious sights.....supercilious media moguls, deluded cultists, and shoot-the-messenger avengers. Never dull. But I'll survive. 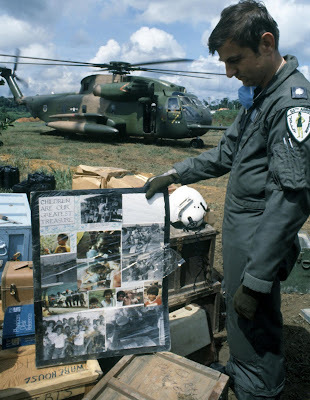 Nice to find every article about Jonestown at your site. I am a student doing a paper about leadership and followers in religious violent cults/Sects. You have a very good collection there at your other blog.